Keywords are generally broken up and grouped based on the number of words within the phrase. The more words that are the in a keyword phrase the easier it is to rank for that particular term, since there is generally less competition. The first thing to do is a quick brainstorming session. Asking some basic questions about your business or service will help to determine the right keywords that may make good targets for search engine optimisation. What is the content in your web site about? What terms would you use to search for your product or service? What words or phrases do you think other people would use? What are your most popular products or services about? It won’t be hard for you to make a list of keywords that you would use to find your own site, however will need to ask other people these questions and record their suggestions as well. Doing this will help you to get outside of the jargon that might be used in your business that only you and your colleagues might know. When doing keyword research for SEO, you want to determine what normal people in your target audience would use to find what your web site offers. Don’t limit your scope for keywords. Brainstorm all the subjects and phrases that could bring the type of visitors you want to your site. Put them into a spreadsheet and use this initial list to expand upon and refine your ideas. If your web site is already up and running, then you may have a lot of information at your disposal to find valuable keywords. 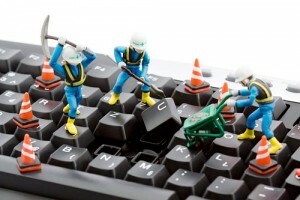 A good starting point would be any keywords used in your internal site search. Providing visitors a search box within your site is good for visitors but also great for you, because it records all the searches being performed. These searches are powerful indicators showing you what people want to see. Add these keywords to your spreadsheet. Google Webmaster Tools is also a great place to find valuable data. The search queries page shows the queries that have returned pages from your site. You’ll also see information about the pages on your site that were most often seen in the search results (top pages). Google will compare daily averages for the selected period to daily averages for the previous period. The last 30 days of keyword search data is shown by default, but you can set an optional date rate within the calendar selectors provided onscreen. Go through customer communications, including any email correspondence, support queries and any online forums that you operate. Talk to your front line customer service or sales reps to understand what customers are looking for. Also look any social media services you are present on such as Facebook and Twitter to see what your community is saying. Search for your primary keywords to understand how people are talking about your products, services or articles. Another important approach is to a free research tool like the Google Keyword Planner. The Google Keyword Planner shoes you keyword ideas that are related to any seed word that you provide. 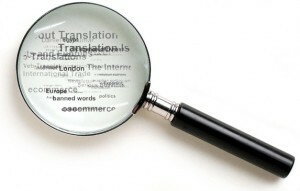 Type in one word or phrase at a time and you will see returning suggestions that coming from actual search query data. 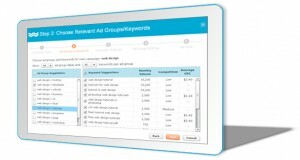 Select the keywords that match your products or services and add them to your growing keyword research list. The Google Keyword Planner provides a very powerful set of statistics such as the search volume to help you select keywords to use for your SEO campaign. You can use forecasts, which include predicted clicks and estimated conversions, to get an idea how the search volume for a particular keyword performs. Search volumes do cast light on your keyword research. They reveal what people actually call things, and they help you prioritize similar keyword phrases.